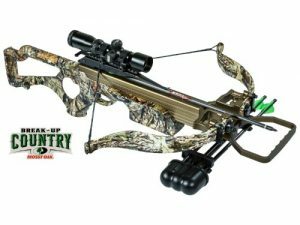 The 308 SHORT delivers lightweight maneuverability for tight ground blinds and tree stands with a super compact overall length. 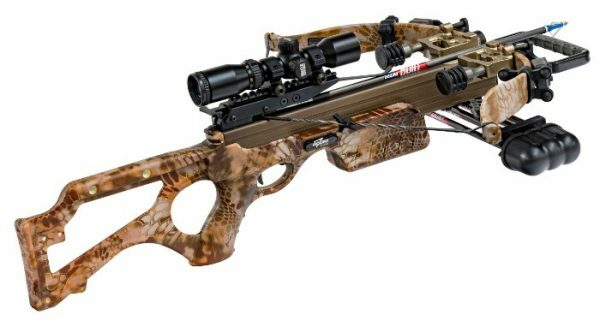 Specifically designed with a shorter length of pull of 12.5 inches , the 308SHORT is ideal for hunters concerned with size and weight and perfect for young hunters and shooters of smaller stature. 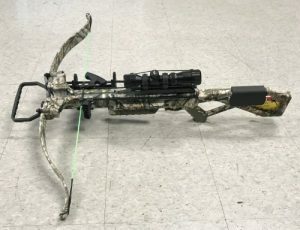 Complimented with a distinguished bronze finish and Mossy Oak Break Up camouflage this crossbow blends into the forest. 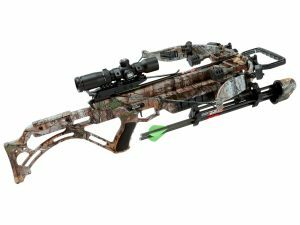 Coming loaded with premium features such as our Dead-Zone multi reticle scope, X-Hanger 3 Arrow Quiver and performance tuned Quill arrows, the 308 SHORT is a unique crossbow setting the standards in balance and easy handling without sacrificing performance.